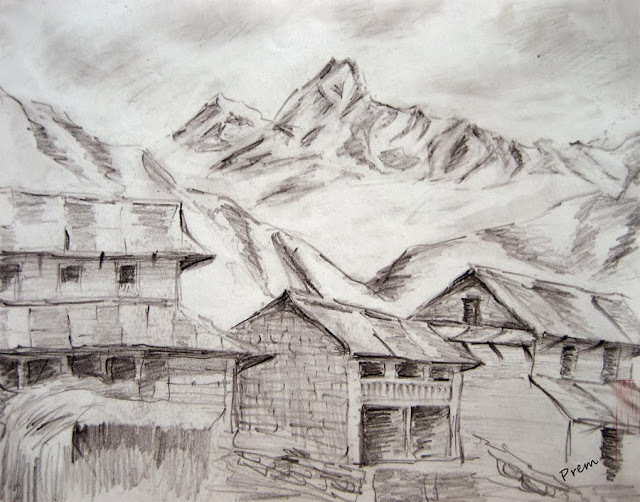 The following sketch is of a rural scenery in Nepal with Mount. Machhapuchhare (Fishtail) in the background. 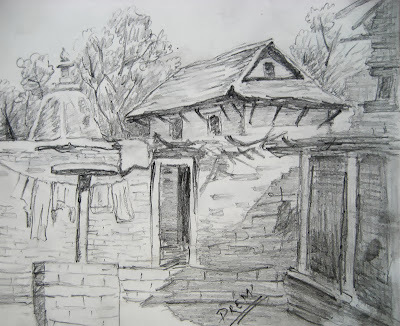 The houses are typical hilly region houses made mainly of stones, mud and wood. The roof is of slate stone which is especially used for roofing. Such houses are very common in the hilly areas. The following landscape is of a religious place of Hindus. Both of these pieces are made with quick strokes of lead pencils of varying blackness.